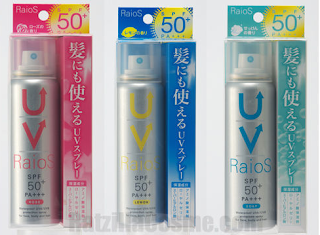 I dedicated one entire post to buying sunscreen in Japan, since it can be a bit nerve-wracking to find something with very specific attributes. Since I was heading to a beach, I wanted a water-proof sunscreen which would not wash away in the sea. I remember the last time when I used a regular sunscreen and entered the water, my face and body turned all white! :P I had put loads of it , alot more than what my skin could absorb. Sweat and sebum resistant, since its so humid on the beaches and the last thing you want is to look sweaty and dull. It is almost impossible for me to explain all this to the sales person but knowing the points below helped. If you are looking for a water proof one , look for ウォータープルーフ (wa-ta-poru-fu) label. Protection again sun = protection again UV rays. UV rays= UVA + UVB. UVB rays are more responsible for tanning and skin burn. Japan and other nations as well, use SPF to measure protection against UVB rays.It starts from 15 to 30 and goes on till 50+.The more the number the better it is. Protection against UVA is denoted by PA and + sign. So , I went to Tomods and picked these three- Shesiedo Anessa, Liberta Sunscreen Spray Raios and Nivea Sun Protect Water Gel Cool. It is a Japanese Sunscreen Milk which dries to a silky and non sticky finish.I was surprised by how light weight and super absorbent it was. it felt more like a fine serum than a cream.It is water resistant, however it is effective for 80 minutes while swimming. it is also sebum and sweat resistant. It seems pricey, however a little bit goes a long way. 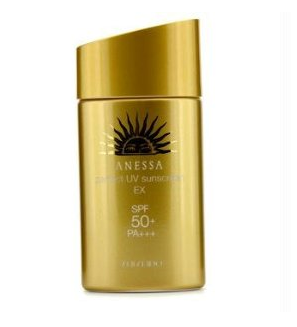 I was a bit apprehensive on buying it, even though I was getting a discount on it, because the bottle seemed too small to justify the price.However, after using it , I think I have started liking it more than my all time favourite Clinique Sunblock SPF 40. What attracted me towards this product was that it is a spray. Honestly, I didn't know what UV protectant sprays exist.It can be used on hair and even on top of makeup. It disperses and invisible micro fine mist.It should be applied every two to three hours . It is ranked no.1 according to Cosme.net which is one of the Japanese beauty product's review website. 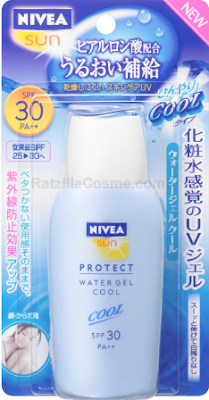 It is a Japanese sunscreen gel that leaves the skin feeling cool and refreshed. It feels light and refreshing on the skin and dries into a transparent non sticky finish.This is the most cost effective, so I use it on my body when I don't go swimming. Which one is my favourite? To choose a favourite is hard, since all three of them serve different purposes. I used them at a beach, however I did get a tan, but I cannot ignore the fact that I was in the sea for hours doing scuba diving. My husband who did not use any sunscreen on his body got a major sun burn. So I know they were effective. I would certainly buy these three again. Buying sunscreens is a tough task.. I remember having tried sunscreens of almost every brand available in the market- but none of them was good enough !! 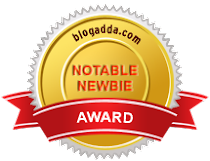 Thats an amazing review...and btw...i LOVE your blog! So you are an Indian from Tokyo? How cool is that! OMG! Sad to know you had a tough time in Japan on this. I had a tough time in China explaining what I want to eat also!!!!! Thank you for such useful and much needed info Tanya. Every time I go to a beach I experiment with different sunscreen. Though they protect from sunburn but I still get very tanned which I don't like and it takes ages to get rid of that tan. Next week I'm definitely goin to pack these ones in my bag and hope they make me less tanned. Also let us know if there is any good product which helps to remove tan.